A light and pretty sleeveless jumper pattern with a unique square/cross pattern. Easy to style for work or social occasions or layer up for colder weather. 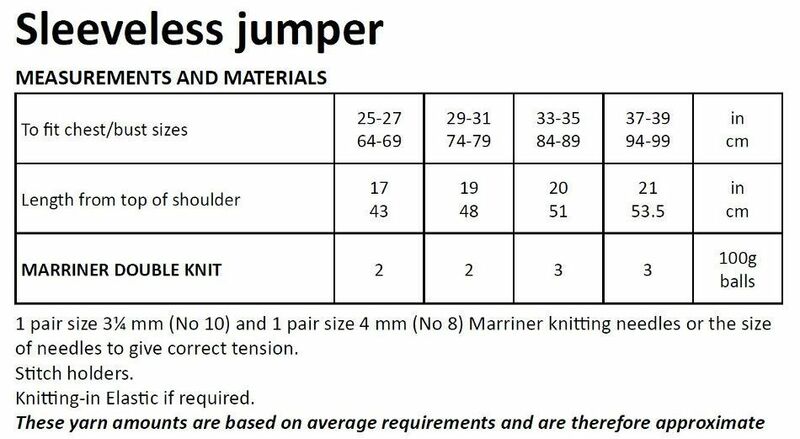 Hooks required 1 pair of size 3 1/4mm (No 10) and 1 pair of size 4mm (No 8) needles. Stitch holders. Knitting in elastic if needed.